See the recent payout to our contributors! The specifications for our bounties will be posted on harmony.one/github and bounty networks such as Gitcoin. For our investors and contributors, we’re developing the genesis block and a custodial process. Our key generation features a hybrid signature of ECDSA (cold keys for staking) and BLS (hot keys for block validation). We are simulating the macro-economics of Harmony tokens in Python (to be open sourced in coming weeks). Our goal is to secure and decentralize the Harmony network by incentivizing thousands of staking nodes. 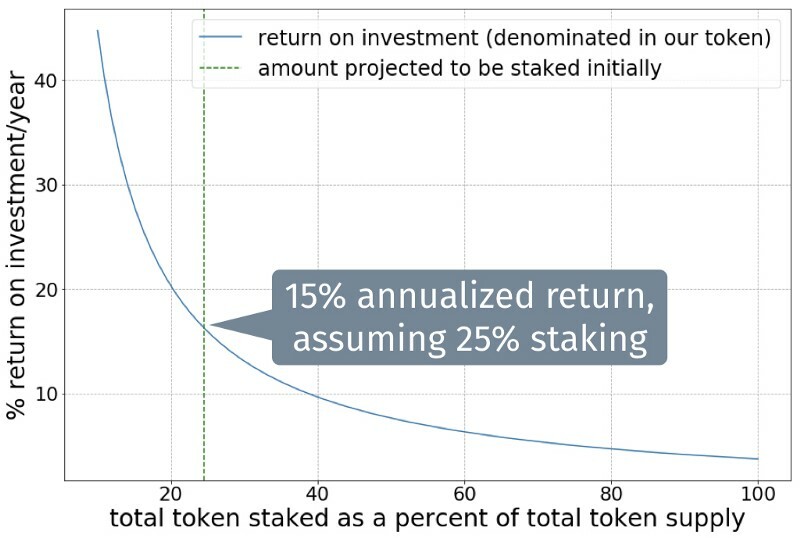 Harmony nodes can earn 15% annualized returns by joining early and bootstrapping our network. Our simulation shows that Harmony nodes turn profitable at 2.5% annual inflation. We’re getting positive feedback from many staking-as-a-service companies like Chorus.One, Blockdaemon and Staked.us as well as our foundational nodes. Since February, we have 120 additional node signups and 10 external nodes on our testnet. See harmony.one/coinlist and harmony.one/opentoken for investment details. We’ve been analyzing the Initial Exchange Offerings (IEOs) and launchpads of Binance, Bitmax, Huobi and OKEx. They shoulder the responsibility of fundraising and compliance, while engaging the community and investors. We see top projects like Celer (see this detailed Binance research report) raising the standard for the industry. Harmony helps businesses build marketplaces of fungible tokens (energy credits, security offerings) and non-fungible assets (game collectibles, real estate). We’re developing zero-knowledge proofs for data sharing (ad exchanges, credit ratings) while preserving the consumer’s privacy. Instead of kings and corporations, “Markets are Eating the World” argues that protocols provide fair market rules without rulers. We are learning from our partners the need for peer-to-peer energy credit trading and for maximizing renewable energy usage in their grids. As Ray Dalio explains, credit runs our modern economic machine. In emerging markets like Indonesia and Vietnam, complete credit bureaus (like Equifax) are missing, leading to over 10% default rate. Decentralized creditgives people control over their credit scoring while enabling lenders to lower interest rates. We are learning from Zether (Bulletproof on EVM at $1.51 per transaction) and zkwasm (zk-snarks on browser with WebAssembly) by QED-it. 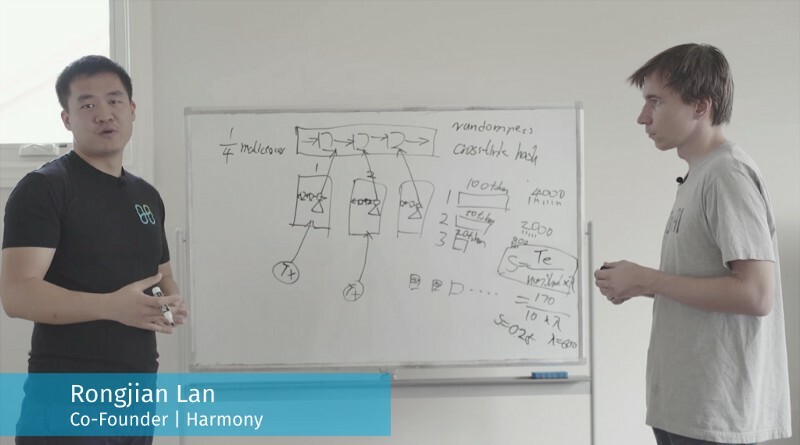 Harmony is exploring zero-knowledge proofs not just for privacy but also protecting our Proof-of-Stake from targeted attacks. Harmony can help securely share data from multiple hospital sources. Multiparty computation (MPC) is the state of art for the privacy-preserving record linkage problem in biomedical data analysis. The current benchmark there is deduplicating 10 million record across 1,000 different databases in about 30 min. Zero-knowledge proofs can qualify you for a service or membership without revealing your private data or identity. JP Morgan is experimenting with AZTEC protocol for syndicating loans and proving credit-worthiness. ING is prototyping with a similar zero-knowledge set membership and range proofs. Our team has been speaking to developers in Seattle, Silicon Valley, Denver, and Boston. In #Outliers / Seattle (with MIT Media Labs & CryptoKitties), we discussed future protocol developments on a panel with Prysmatic Labs and NEO. At Harvard Blockchain Summit and Cryptonite, we spoke about building realapplications alongside Harbor, Bakkt and Augur. At ETHDenver, our cofounder Nicolas won the Most Innovative Award at the official hackathon (packed with 2,000 buidlers) for putting together an on-chain price oracle called Delfi. We competed with 120 teams and were judged by Eric Voorhees at Shapeshift, Nadav Hollander at Dharma, Mariano Conti at MakerDAO, and author Andreas Antonopoulos. We look forward to participating on a panel at the IEEE Future Technology Summit on April 6 with Celer and Quarkchain, and engaging with Zcash and Interstellar at Berkeley’s ZKProof workshop on April 10–12. Lastly, we need your help staking our nodes and hunting our $1M in bounties!